Professor Mike Johns at the University of Western Australia shared this story about doing NMR outdoors with one of their Spinsolve spectrometers. The outdoor environment presents a number of challenges for any analytical instrument and not normally a place you would find NMR spectrometers. Great to hear the trial was successful. Details and pictures below. In collaboration with Chevron and Woodside, the Fluid Science and Resources Research Group at the University of Western Australia (UWA) trialled a ppm oil-in water measurement protocol built around solid phase extraction and a Magritek 1H 43 MHz Spinsolve benchtop NMR spectrometer. 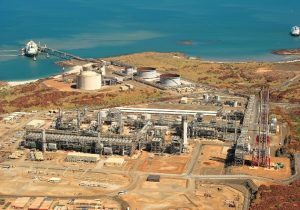 This occurred in October 2017 on the Woodside Pluto LNG plant in North West Australia. 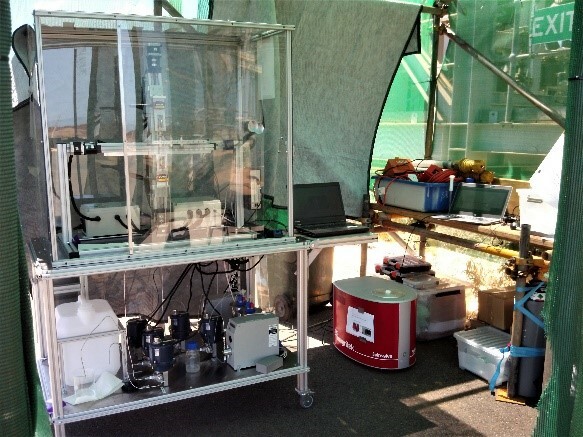 Measurements were performed outside, adjacent to the waste water treatment plant, using the SPE-NMR apparatus shown below. The trial was successful with measurements being consistent with laboratory data over a two week period. The link below is to a recent poster that gives more details on the measurements.